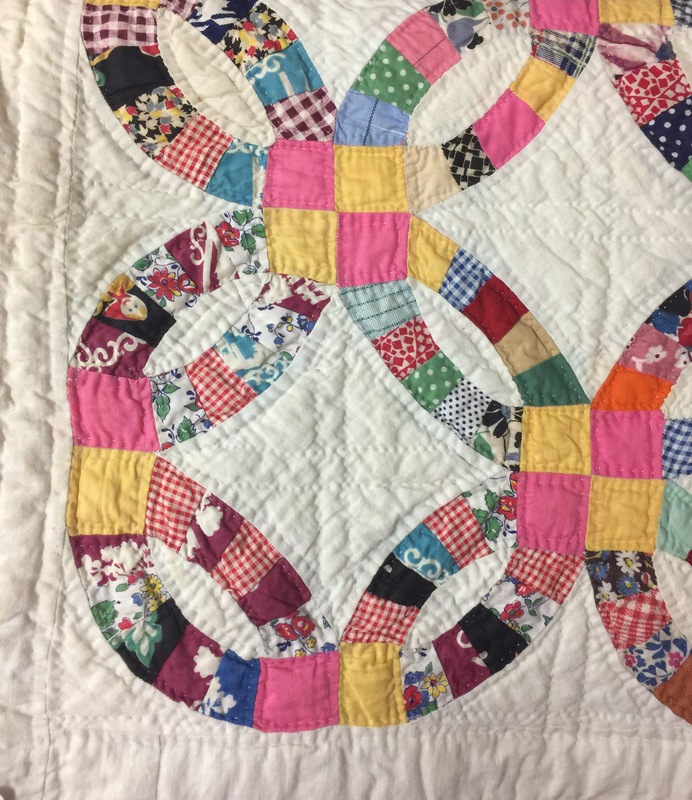 I just realized that I still haven’t shown all the vintage quilts we saw on our recent travels. I loved the wedding ring, the rings were very small! 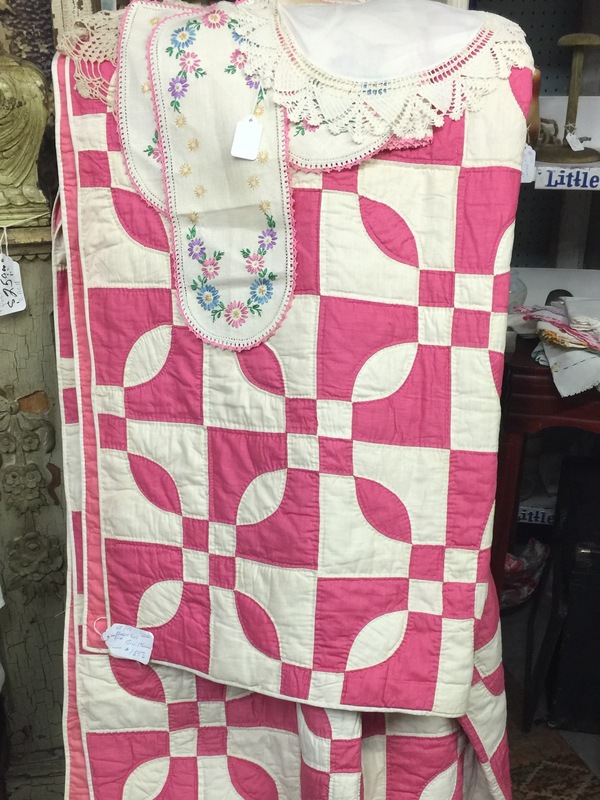 I always love finding doll quilts. 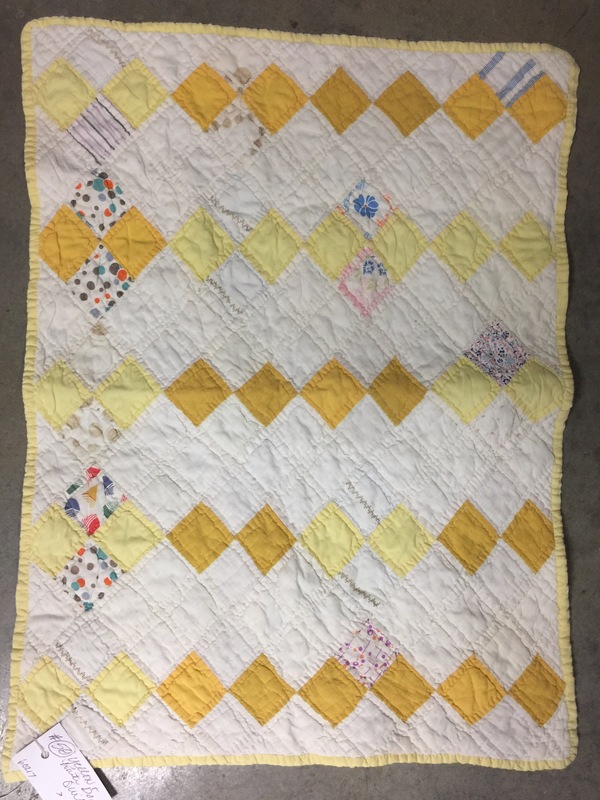 This one was machine quilted a long, long time ago. I loved this one too. I wish there had been room to spread it out. Thanks for sharing those beautiful gems. 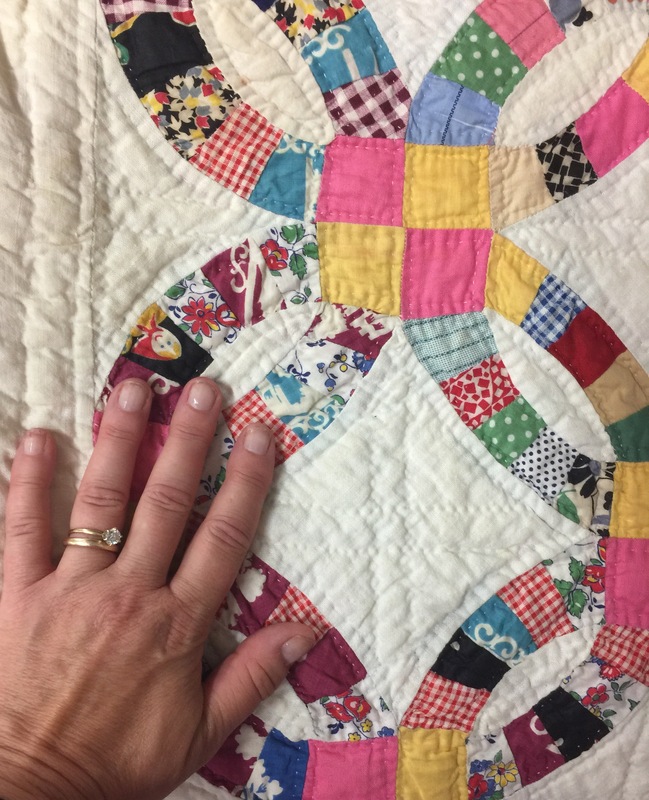 I’ve seen a few other early machine quilted quilts, and one year, Mr. Nolting brought his antique quilt machine collection to MQS – fascinating! The first longarm I ever saw, the machine was stationary and the frame moved back and forth on a hanging mechanism from the ceiling! And that wasn’t all THAT long ago. LOL All that to say I wonder if the lady who did this one was a disgrace in her neighborhood because she machine quilted! Delicious! 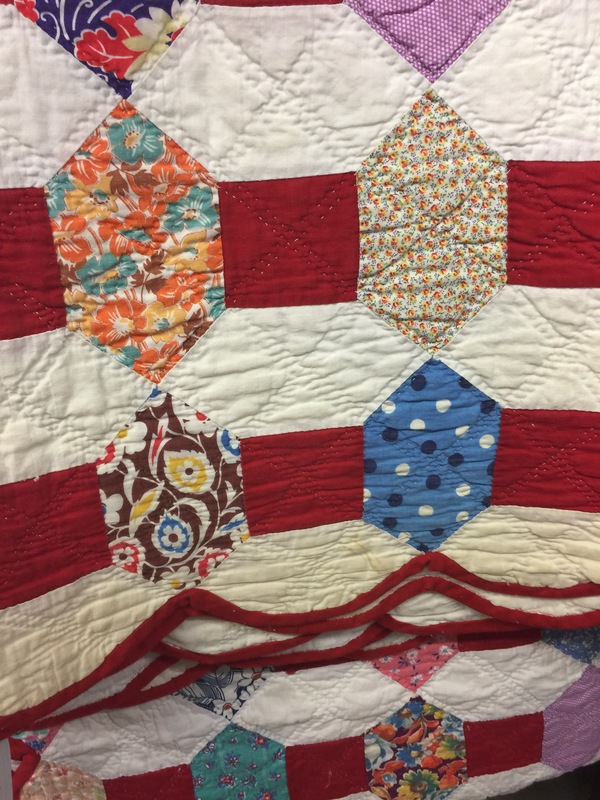 I love seeing old quilts in other people’s travels. Thanks for sharing. Beautiful!! 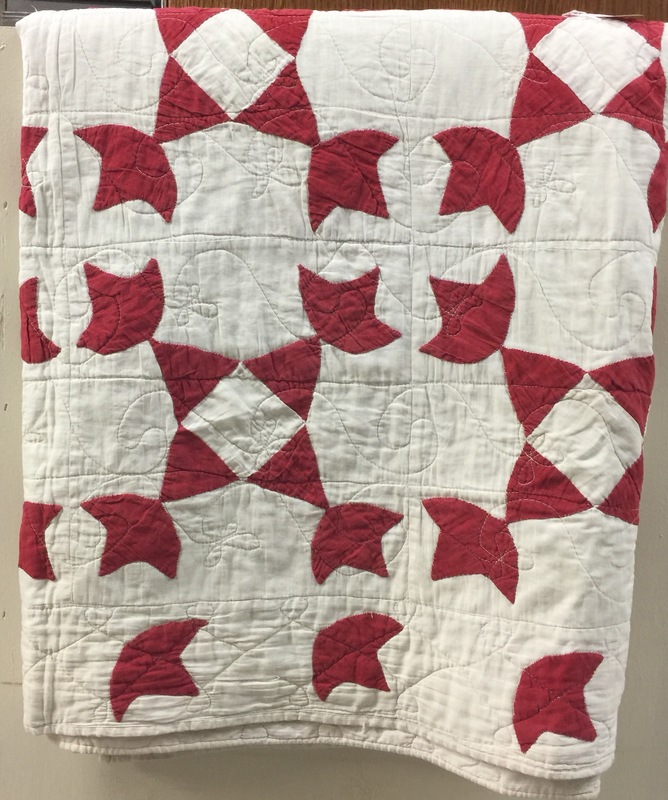 The last quilt has done with great care, the seam matching is fantastic. 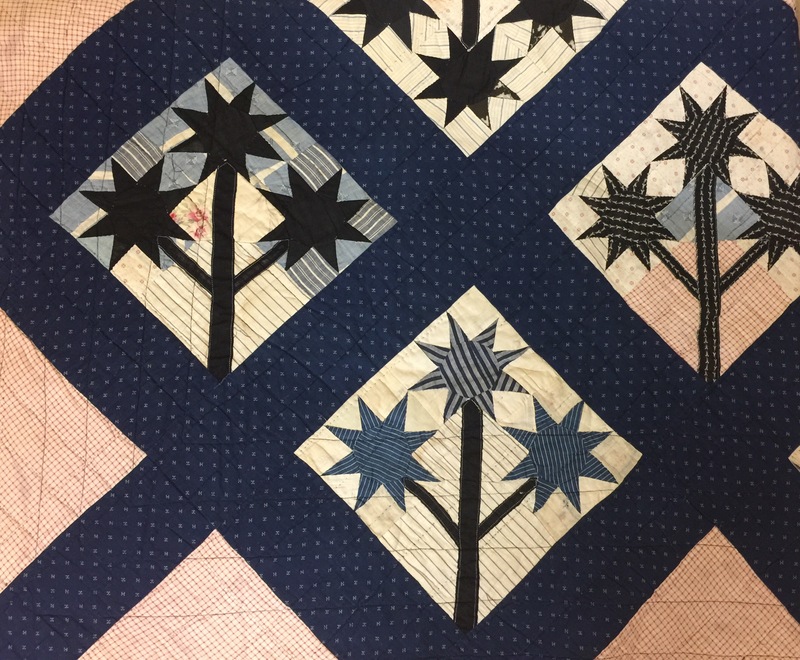 I’m not hard on those old quilts with unmatched seams for I know how fabric can slide under pencil and scissors ( which I’m sure were not always sharp) so it is truly amazing that the quilt has such perfect points. I don’t always get my points to match that good….